That is not his only distinction as a popular-level Christian writer. He is also good at writing and concise. Those two qualities don’t have to go together but it’s a blessing to apprehensive readers when they do. Reeves is simultaneously systematic, biblical, historical, as well as engaging and even funny. 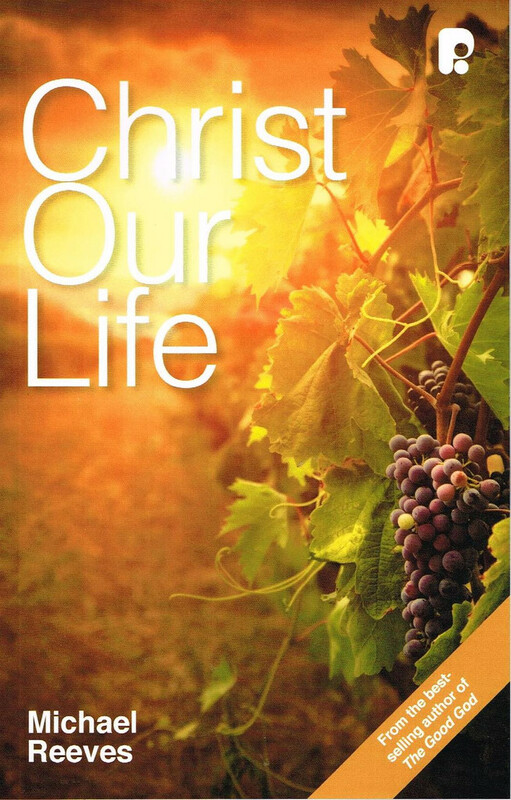 If you struggle to enjoy Christian books, or have found theology dry and irrelevant, read Christ Our Life and discover what you’ve been missing. If you feel under-resourced when worshiping or praying, this could be greatly beneficial. My heart was stirred to praise God again and again as I read; he also gave me some fresh insights on well-known Bible passages, introduced me to a starry cast of theologians, and helped me see how wonderful truths I already knew could fit together in ways I hadn’t appreciated before. My only complaint is slightly facetious: the book’s production underplays its content. I don’t blame the publishers for making it thin and monotone (cover image excepted), i.e. affordable, but really the subject and style of this work should be matched by a luxurious artefact: a font that is lustrous, bold and flamboyant, with illustrations of eye-popping colour, printed on parchment, between covers that will last a lifetime.